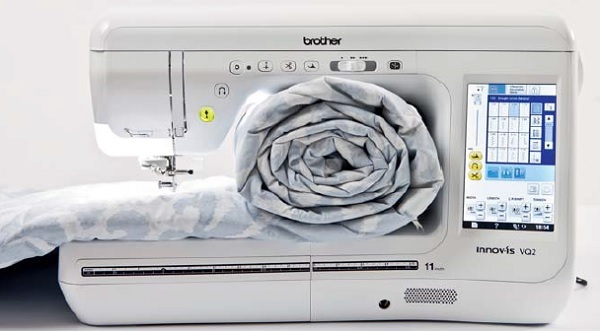 With a particular appeal to the discerning quilter because Brother have combined all the components you could wish for: Motorised threading of the needle, blissfully easy to use screen that's bright even in a sunlit room, lots of light inside the huge harp which accommodates masses of fabric - all packaged with speed, grace and quiet efficiency. 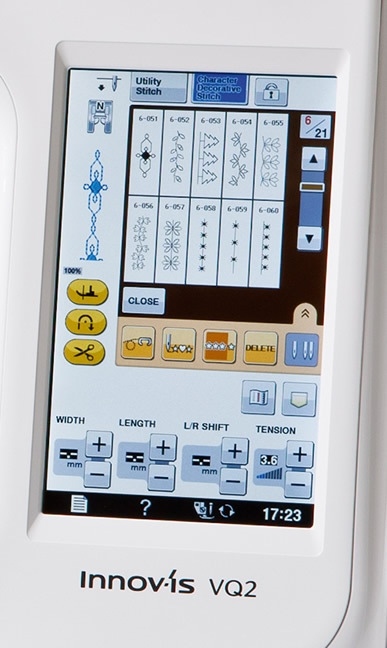 With hundreds of utility and decorative stitches including 14 styles of button holes and 5 built-in fonts you can easily control width, length, size and density with the LCD touchscreen. Edit and save every stitch. Save combinations for future use. The presser foot automatically lifts as the needle remains lowered for fast and easy pivoting and fabric manipulation. The Innov-is VQ2 includes a range of standard accessory feet such as a free motion open toe quilting foot and a 1/4” quilting foot with guide. 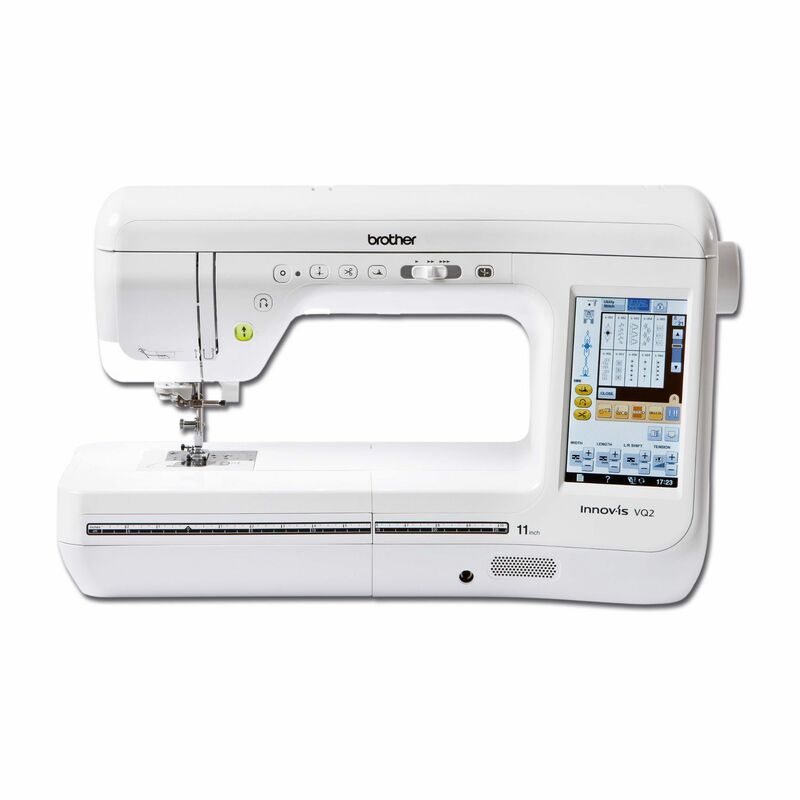 With the Brother Innov-is VQ2 Sewing Machine, if you can dream it, you can sew it. The extra large long arm (11 1/4”, 285 mm) gives you more space than ever. 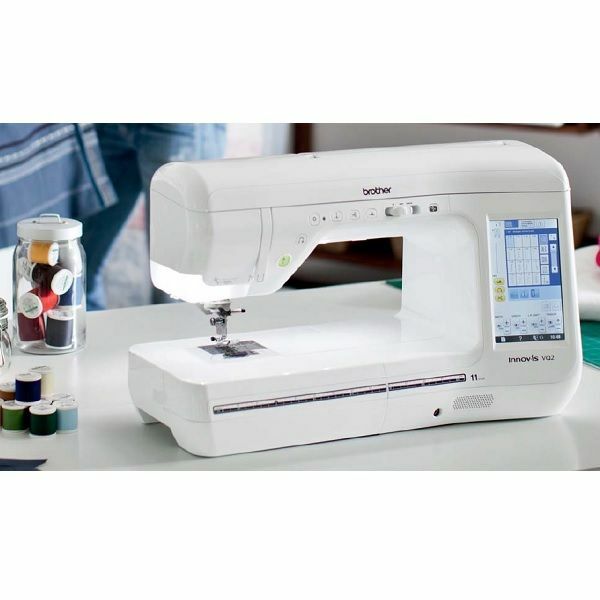 The Innov-is VQ2 gives a wide expanse of space for those extra-large quilting, fashion and home décor projects. I bought this machine to use in my Horn cabinet, mainly for piecing and quilting. I love the machine and would have given it 5 stars,except for the poor performance of the walking foot. I understand there is a motorised walking foot available as an optional extra, but at £269, is an expensive option when the supplied walking foot should be fine. Pros: a dream to stitch with, quiet, user-friendly, large harp space, lots more built-in stitches than expected, great stitch quality. Cons: no automatic foot lift and the disappointing walking foot performance, as above. Well worth the price, in my opinion. I've had this machine for a few months now and I am loving it. I purchased the motorised walking foot and it's made all the difference. It's a superb machine. It sews beautifully with any thread, including monofilament and metallics. 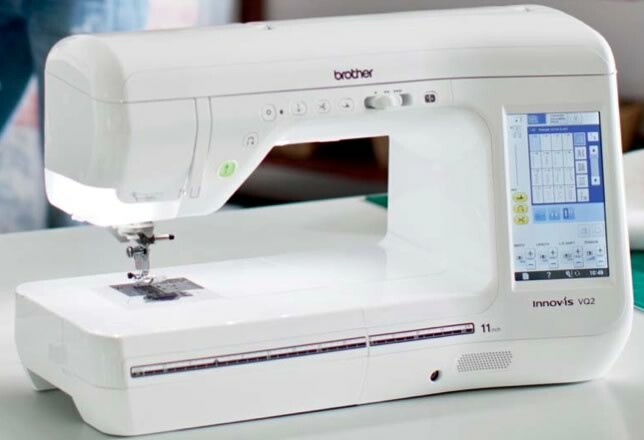 It's also great for free motion embroidery and quilting. I can't fault it at all.